Eatontown, NJ – BRECOflex CO., L.L.C., the world leader in the polyurethane timing belt industry recently had the opportunity to live life in the fast lane. On August 2, 2015, the BRECOflex CO., L.L.C. 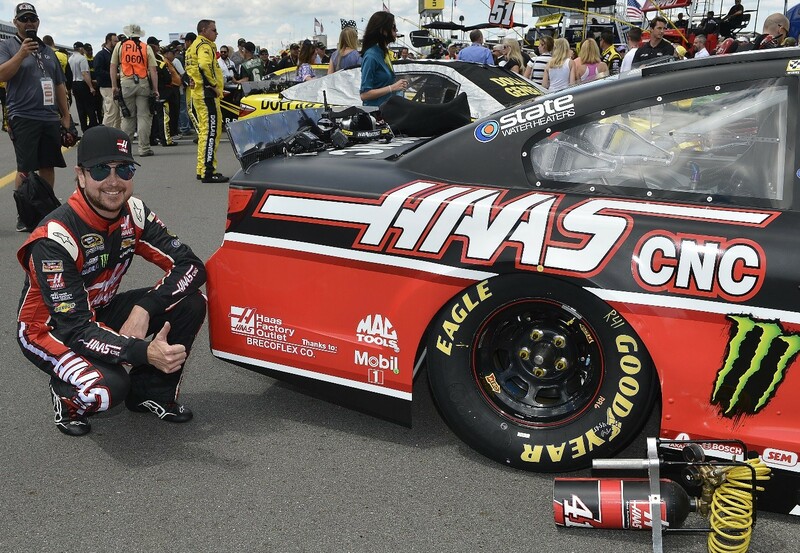 logo was featured on the right rear fender of Kurt Busch’s Stewart-Haas Racing Chevy at Pocono Raceway. This race was part of the NASCAR Sprint Cup Series. The logo appeared courtesy of a partnership between BRECOflex CO., L.L.C. and Haas Automation. Haas is a primary sponsor of Kurt Busch’s racecar. Although Busch didn’t win this time, it was still a thrill to see the BRECOflex name racing around the track in a car driven by one of today’s greatest drivers. BRECOflex CO., L.L.C specializes in custom timing belts, pulleys and accessories. You find these products in power transmission, linear drive and conveying applications in vast industries. They feature the fastest turn-around time for custom pulleys in the industry and free engineering support.